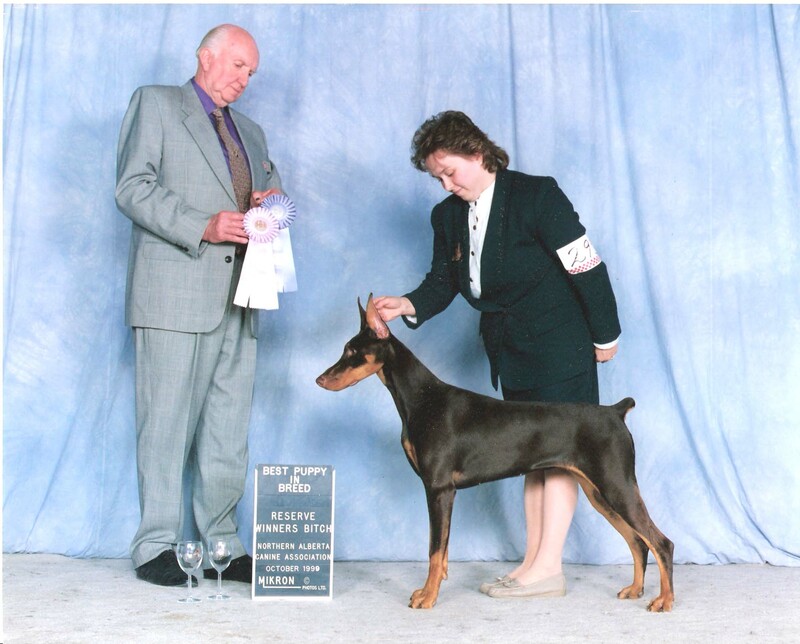 Xena ( Ch Royolyn Sports Page) was the foundation of Denmel Dobermans. 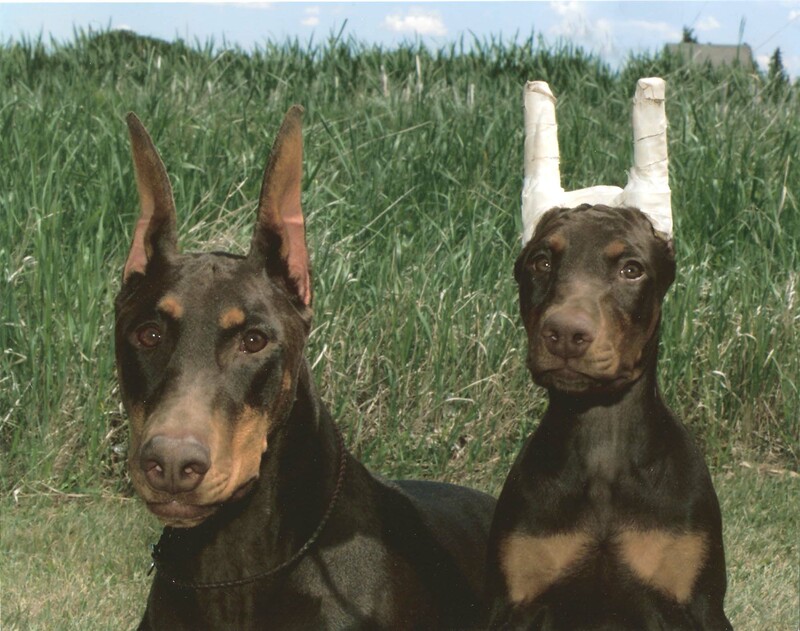 Xena was such a character, but at the same time so sensitive to my feelings. 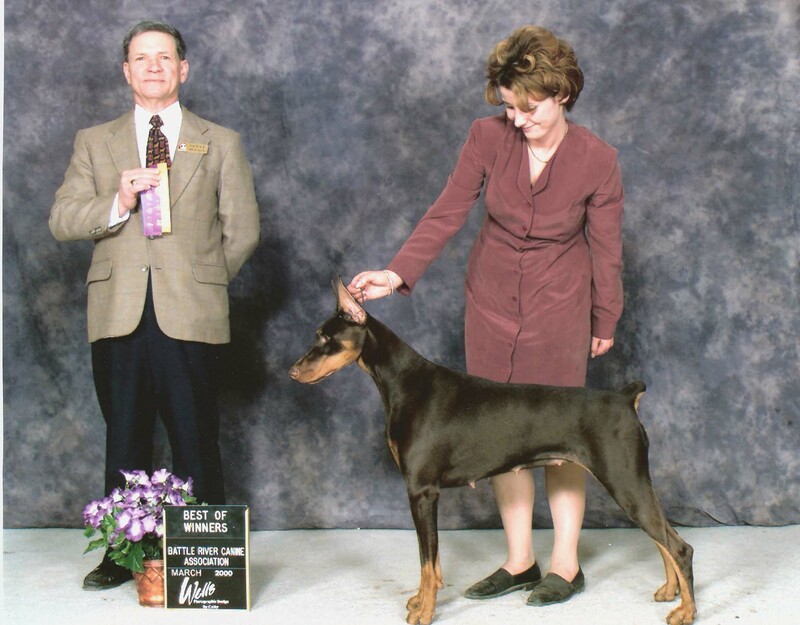 She was especially intuitive when I was physically hurt, like the time I broke my shoulder at a handling class. She would gently pick her way next to me on the couch, and tuck herself alongside me, without any movement that would cause me to be in pain. That was her favourite spot. Curled up against one of us on the couch, or in her favourite chair. 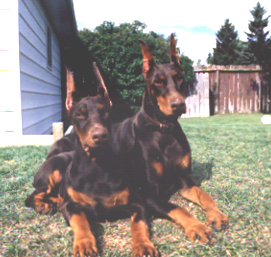 Xena was one of the smartest dobermans I have ever known. But you had to convince her to do what you wanted, and she would much rather be with her people than other dogs or puppies. 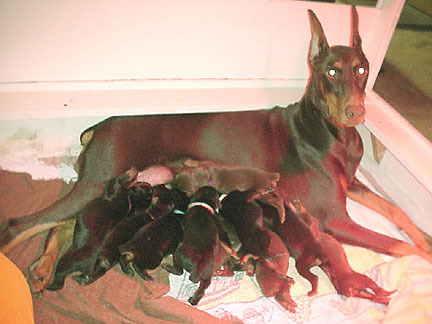 She was not a good mom in the whelping box, although she produced 2 litters totalling 20 puppies. She was fabulous at dog language and teaching the older puppies how to respect other dogs and learn how to communicate. We miss her training the babies for sure. 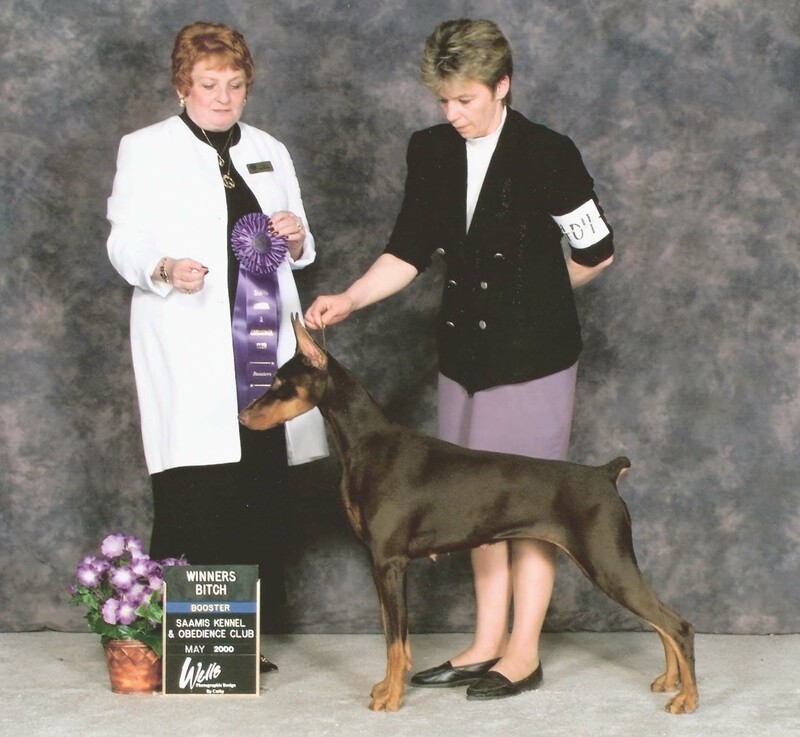 She was ADPC/DPCC Dam of the year in 2002, with 5 puppies becoming Champions that year from her first litter of 11 sired by Axel (Am/Can Ch Wingate’s Johnny Angel). 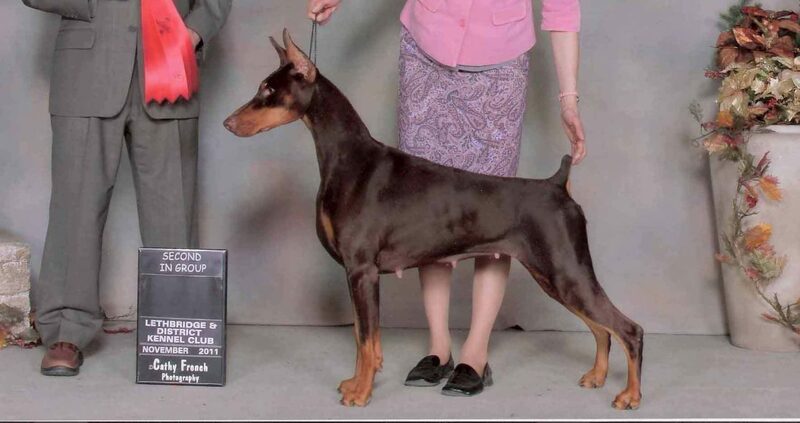 We kept Hayley (Ch Supernova Powerplay v Denmel ) from this litter. 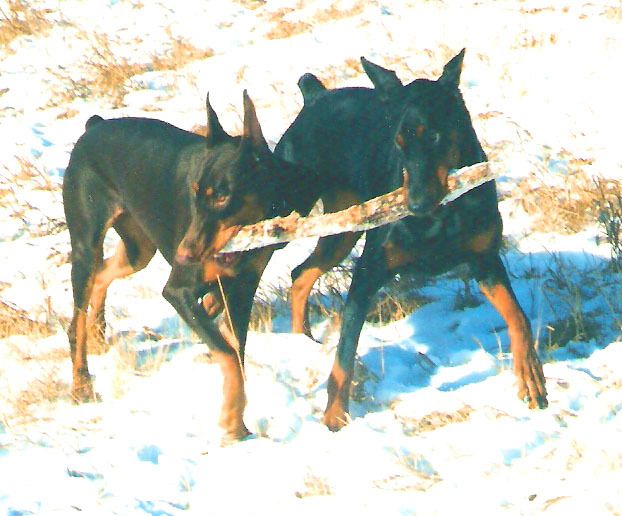 We showed and finished 2 boys from her second litter but none of them lived here at Denmel. 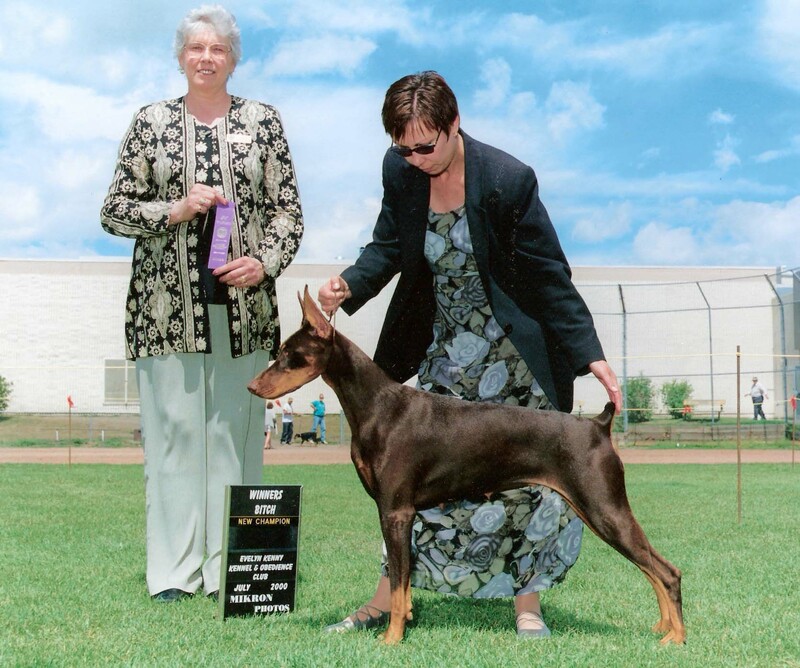 Xena was holter monitered as part of the University of Guelph Holter Study of Dr Michael O’Grady, and her holter showed normal each time, the last being done in Nov 2007. We had her cardio ultrasound done in 2004, 2005, and then in the Echocardiogram Clinic 2007. All results were normal. 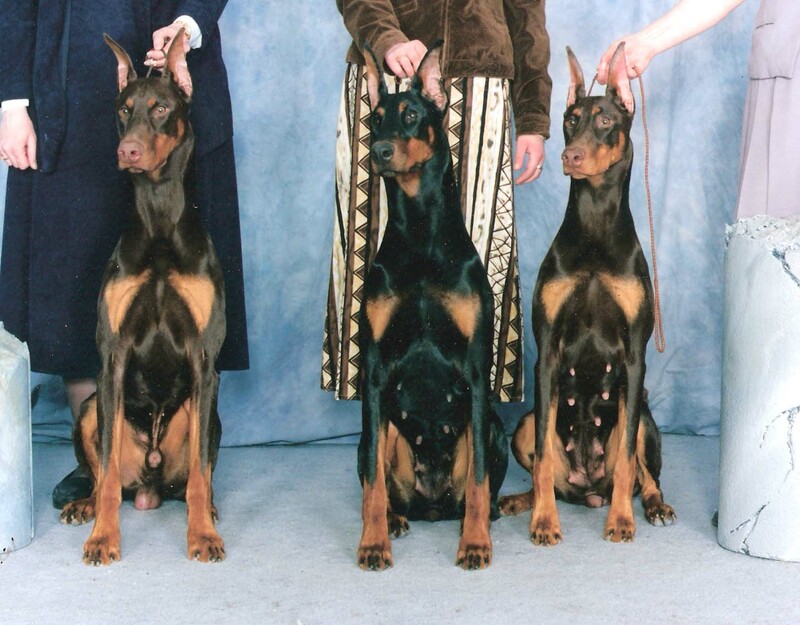 Unfortunately Xena was diagnosed at 9 years of age with a very progressive type of mammary tumour, and it was not recommended for surgery. 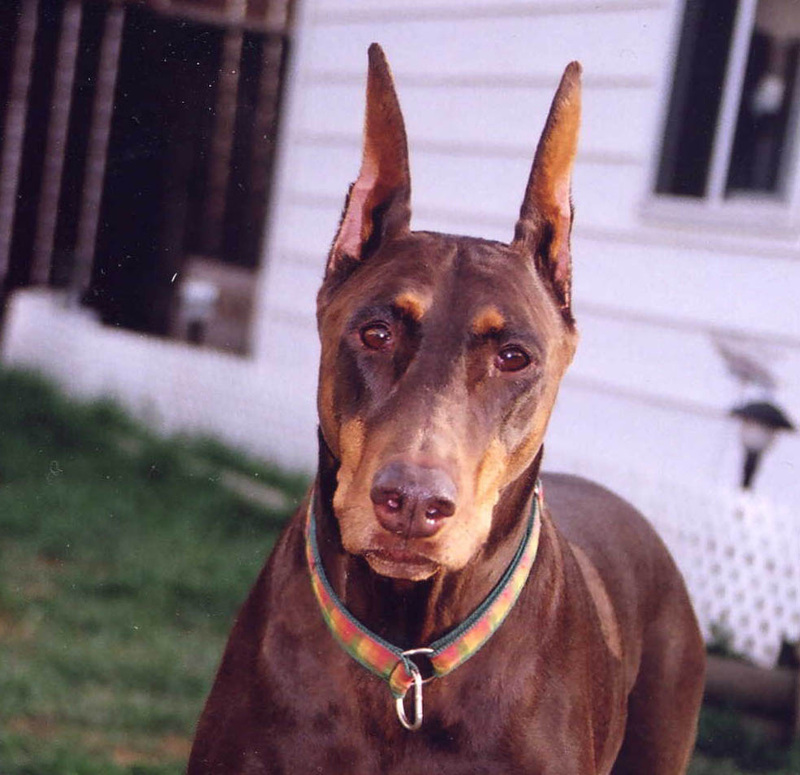 With broken hearts my husband and I held her while she was sent softly to the Rainbow Bridge, at just over 9 years of age. We still miss her dearly and think of her often. I am sure there will not be another like her, with those soft dark eyes and endearing personality. She loved children and adults alike, and seemed at times very close to human in her understanding and affection. We miss you and your kisses Xena.